The stamps called Reproductions, Reprints, Re-Issues and Special Printings were created by the Post Office Department to exhibit every United States stamp at the 1876 Centennial, and to furnish examples to collectors. The program began in 1875 and ended in 1883, and was managed by the Third Assistant Postmaster General's office. Invoices were made for all sales, listing the denomination, quantity sold and name of purchaser. 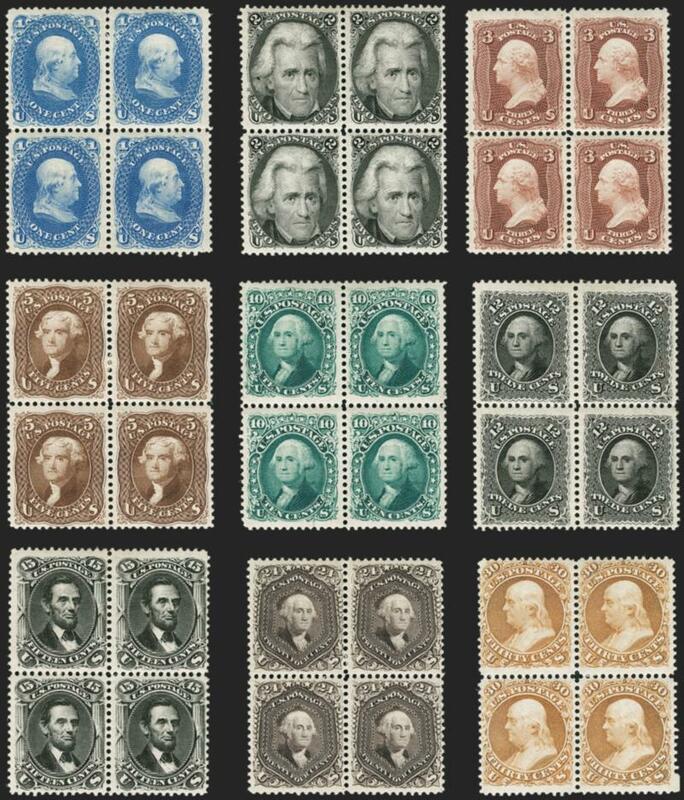 Unsold stamps were destroyed on July 3, 1884. To have an inventory to fill orders, postal officials authorized the printers under contract to make special printings. For the 1847 Issue, new dies and plates with different engravings were made by the Bureau of Engraving and Printing--these are Reproductions (Scott 3-4). Stamps no longer valid for postage, but which could be reprinted using the original die designs are Reprints (Scott 40-47, PR5-PR7 and LO3-LO6). Those still valid for postage are called Re-Issues (Scott 102-111, 123-133a)--they were printed either from the original plates or from plates created for the Special Printing program. Re-Issues can be found cancelled and, in rare cases, used on cover. Finally, the special-order printings of currently circulating issues are called Special Printings, which include the Bank Note regular issues (Scott 167-177, 180-181, 192-204, 205C, 211B, 211D), and Postage Dues, Officials and Newspapers & Periodicals stamps (the Official stamps received "Specimen" overprints). The 1847 Reproductions were presumably printed at the Bureau, where the imitation dies and plates were made. The 1861-66 and 1869 Re-Issues were printed by the National Bank Note Co. The 1851-57 Reprints and 1875 Bank Note stamps on hard paper were printed by the Continental Bank Note Co. The American Bank Note Co. printed the 1879-83 Special Printings on soft paper. Stamps created for the Special Printing program differ from the normal printings. In most cases, the differences are obvious; in others, such as certain Special Printings on soft paper, the differences are subtle. The 1861-66 and 1869 Re-Issues are the only sets with gum.